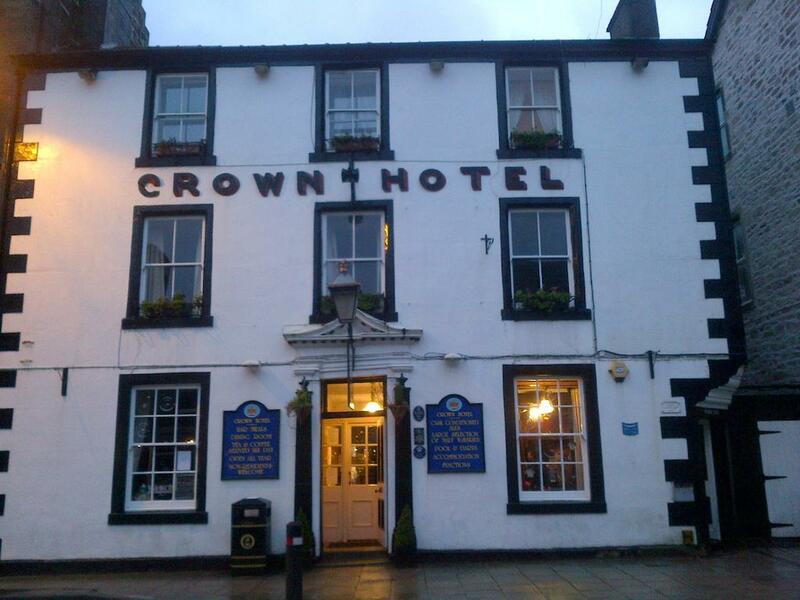 The Crown Hotel is one of the finest old coaching inns in the Borders and its 18th Century walls are steeped in history and tradition. Its ten rooms are all very comfortably furbished with ensuite facilities, television, tea and coffee and welcome tray. A brand new restaurant, "The Outside Inn", provides high quality a la carte meals and the fully refurbished "Oak Lounge" and "Horseshoe Bar" are available at lunchtimes for superb bar meals. There are two function rooms on the first floor which can accommodate conferences, christenings and weddings. The Crown particularly welcomes walkers, shooters and cyclists and mini weekends are available for these activities. We have drying facilities for both hill walking and shooting, and secure storage for guns, bikes etc. We also allow dogs. Private parking is available for motor cycles and cycles. The Crown Hotel is open all year round and its bar is open all day. It is family owned and run, assuring you of the best possible attention at all times. If you are seeking somewhere to stay where all your needs will be catered for, whether you be young or old, then the Crown Hotel in Langholm can be your "Gateway to Satisfaction". Each room has a TV, wardrobe and tea and coffee facilities. All have an en suite shower, with complimentary toiletries supplied. The Crown serves home-cooked food in its restaurant and bar, including pasta dishes, pies and Sunday roast dinners. Light lunch options including baguettes, paninis and jacket potatoes are also on the menu. This hotel is around 20 miles north of Carlisle, and less than 1 hour’s drive from Dumfries. Northumberland National Park is also around 1 hour away, and you can drive to the region’s food capital Castle Douglas in 80 minutes.